Will Stephen Poloz change interest rates today? So, today is the day when Bank of Canada Governor Stephen Poloz makes his latest rate announcement. Advisors, investors and economists will be eagerly awaiting Poloz’s one-page rate decision and a quarterly forecast paper followed by a press conference from Ottawa at 11.15 a.m. Analysts are questioning whether the Bank of Canada will downplay some of the signs of recovery after the oil slump and highlight the myriad risks associated with a Donald Trump administration. 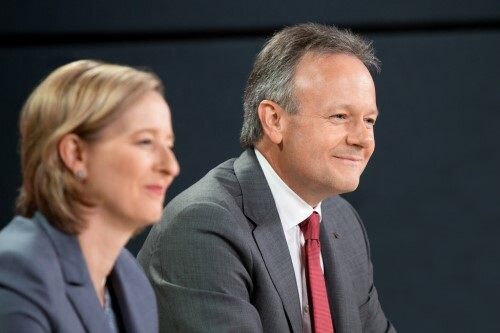 At his last quarterly press conference in October, Poloz revealed that policy makers “actively discussed” a rate cut before deciding not to change the central bank’s 0.5 percent benchmark rate. In light of recent comments from U.S. President-elect Trump on the possibility of imposing border tariffs, it wouldn’t be a huge surprise if Poloz once again raised the possibility of a rate cut. But should we be expecting a change in rate – either up or down? No, it’s not likely. Swaps trading gives a zero probability of a rate hike and a negligible chance of a cut. Of 22 economists, 20 predict the Bank of Canada will leave rates where they are and two are predicting a quarter point cut. For many analysts, the most important aspect of this latest statement is whether Stephen Poloz tells investors he remains open to a rate cut in 2017 due to risks from Trump’s protectionist policies, despite a pick up in the Canadian economy. “Given where the economy is, I’d be surprised if they weren’t actively considering all of their options,” Ben Homsy, fixed-income portfolio manager at Leith Wheeler Investment Counsel Ltd. in Vancouver, which manages $16 billion in assets, told Bloomberg. In its last quarterly report, released last October, the Bank of Canada forecast that the country’s economy would start to bounce back this year, and most indicators show that to be a reality. In a survey released by the Bank of Canada this month, Canadian executives were shown to be at their most optimistic about hiring and investment since the 2014 oil shock. Recent reports also showed the first trade surplus in more than two years and a rise in full-time employment, which was unexpected. Also, according to Bloomberg calculations, swaps trading shows around a 33% chance of a rate increase by the end of 2017. The potential for Trump to renegotiate NAFTA or impose a border tax, which could cause investment and exports to falter, continues to permeate through the Canadian economy. With such fundamental uncertainties remaining unresolved, Poloz has more reason to keep rates as they are for now, despite the pressures that may be placed on him. “Poloz’s main worry is the Trump factor which will lead him to wait and see what happens south of the border,” Pierre Siklos, economics professor at Wilfrid Laurier University and a former central bank adviser, told Bloomberg.